Very much in the holiday spirit, Ciecy has created two Christmas-themed Tapoos for Toy Soul. First up is the Let it Snow full-size Tapoo (edition of 50) decked out in the traditional red + green with some gold accents in a design that partially reveals the clear spaceship. She also is dropping the Reindeer in Snowfield Mini Tapoo (edition of 50) which is only the second mini and follows the Milk Magazine exclusive mini which dropped about a week ago. 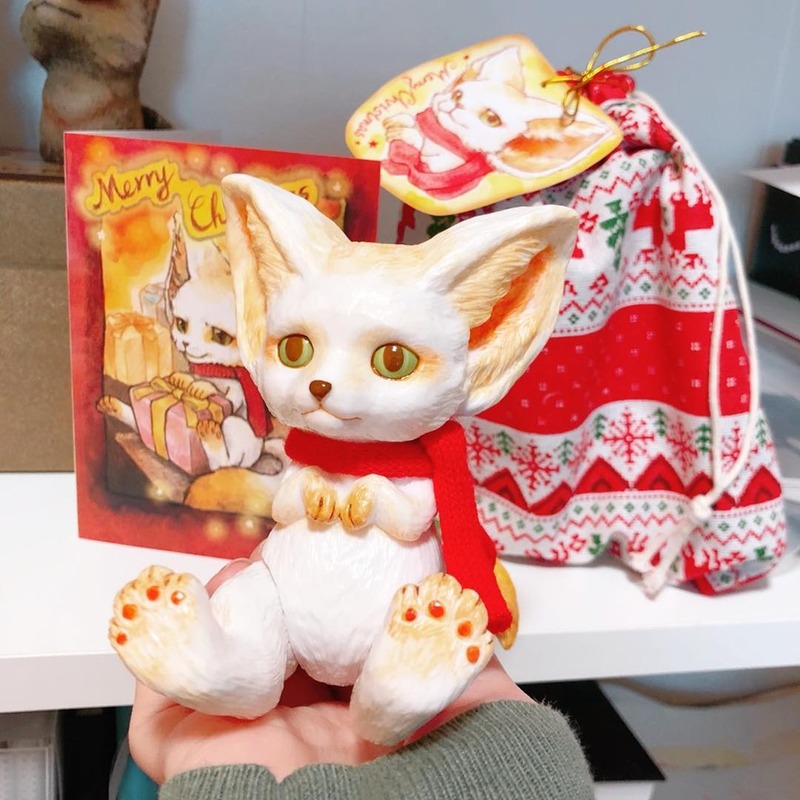 Both of these will be available at the IDEE Productions booth [I01] — Let it Snow on Friday and Reindeer in Snowfield on Saturday. Happy hunting. First seen in prototype form at Shanghai Toy Show in September, Teresa Chiba’s collabo figure with adFunture is set for its official Toy Soul debut. 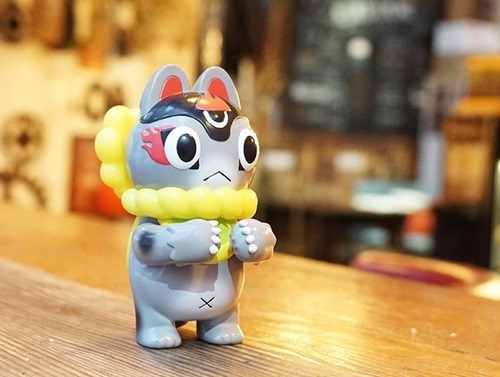 KD Harigon is Chiba’s interpretation /take on adFunture’s Kayden mascot—blending elements of the latter (3 eyes) with her signature Inu Harigon figure. 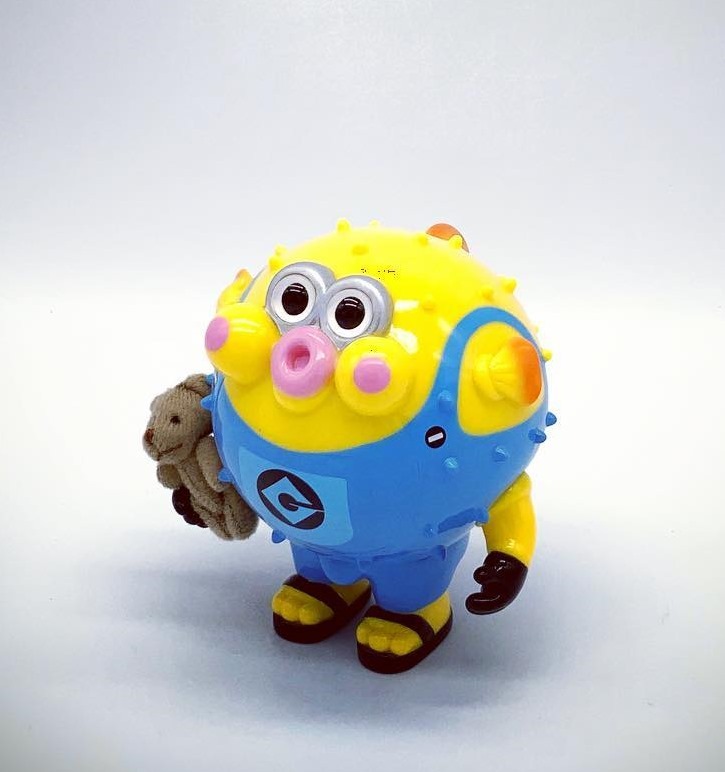 The KD Harigon soft vinyl will debut in a painted edition (above) at the Milk Cargo booth [G14]. adFunture will debut the brand-new Space Woody figure from Law Sun-Yeung at Toy Soul. The space explorer with three-eyes—a nod to adFunture’s Kayden mascot—suggests that even couch potatoes are destined for the stars. 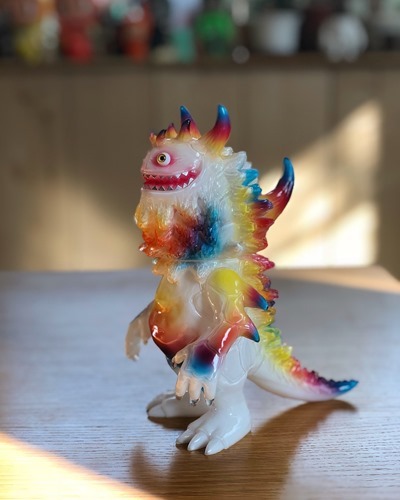 In terms of toys, Law Sun-Yeung is best known for his recent Tomu Boy—a carnivorous, kaiju mushroom. Space Woody will be available from the Milk Cargo booth [G14], complete with clear helmet. Kurobokan has announced the debut of Christmas Sleepwalker Offspring (Nimbus) by Paulus Hyu at their Toy Soul booth [I15]. Cast in light green vinyl with yellow eyes and a fur-like scarf, the new toy bears a strong resemblance to everyone’s favorite Christmas anti-hero. Fun, without going over-the-top. 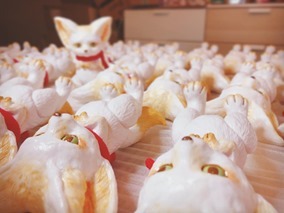 Milk continues its string of Toy Soul Exclusives with Milky Kenneth from Yoyo Yeung. 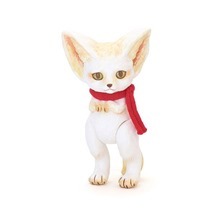 The exclusive version of the fennec fox sofubi (Unbox) features a design that mixes the magazine’s iconic white with red and tan details for a natural, festive look. 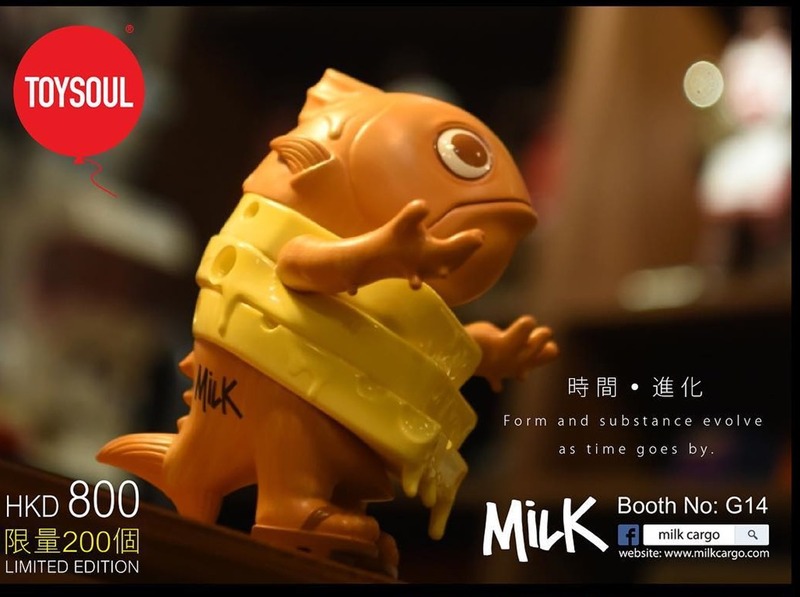 Limited to 100 pieces, Milky Kenneth will be available via online lottery for HK$700 (~$90) with pickup/payment at the Milk Cargo [G14] booth. To enter the lottery, register by 12.9 HK time on the official product page. In a fun collaboration, Chino Lam has worked with Milk magazine to celebrate their 16th Anniversary with a special figure. Featuring a new torso sculpt, Cheese Maguro Senpai plays off the concept of time—in time and in the right conditions, Milk becomes Cheese. And, it should be noted, the Cheese texture—with drips—looks quite good. Limited to 200 pieces, Cheese Maguro Senpai drops at Toy Soul (12.14 – 12.16) in the CheeseMaguro_1218booth [G14] for HK$800 (~$102). 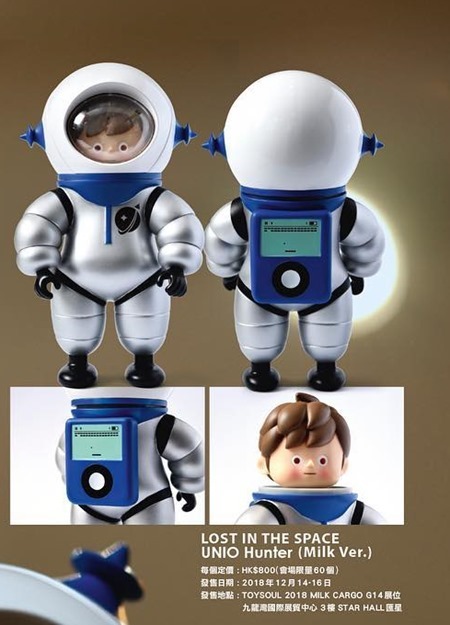 Milk is set to release several exclusive art toys at Toy Soul including Lost In the Space: Unio Hunter Milk Edition from 009. The exclusive edition of 009’s new space explorer figure features a brown-haired astronaut in a silver suit with milk white helmet. Look for this one at the Milk Cargo booth [G14]. Hit the jump for the full flier/ad. 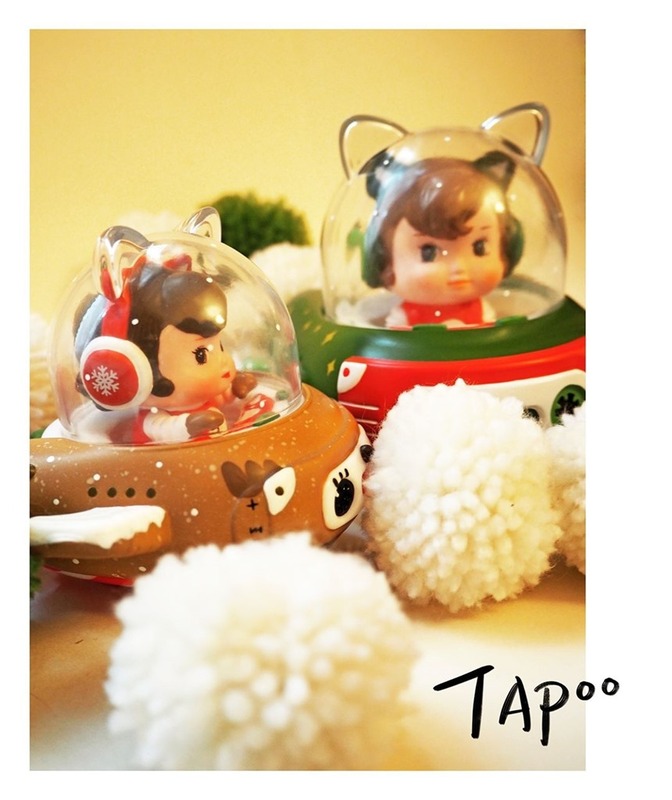 SML will release two special editions for Toy Soul (12.14 – 12.16) in Hong Kong. For the show’s Night Market (all black toys) on Friday evening, they’ll have a black + yellow ‘Bat’ figure. Likewise, for Saturday evening’s Pink Market (pink toys), there will be a ‘Pink’ figure in blue, white + pink. Finally, SML will have the ‘USA’ figure which is #10 in their Nations series. Find all of this at the SML booth [C16] run by their distributor, A Good Company. 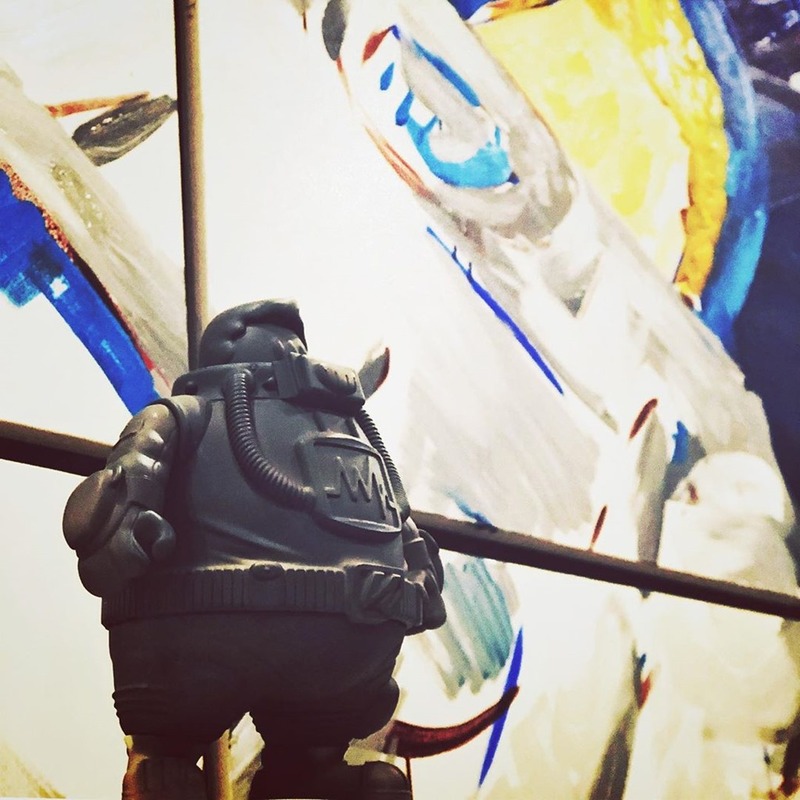 The glorious, never-ending art toy convention season rolls on to Hong Kong for Toy Soul (12.14 – 12.16). 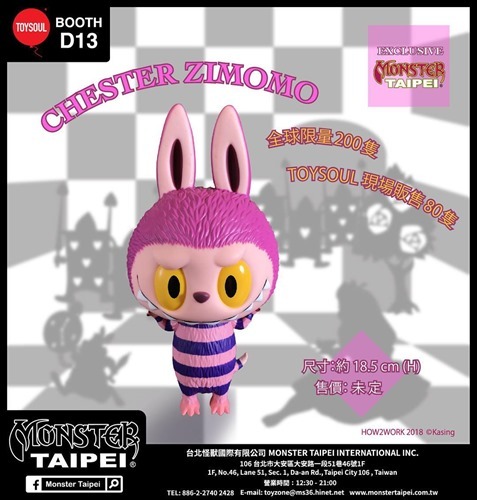 As part of it’s line up for Toy Soul, Monster Taipei will debut their exclusive Chester Zimomo (7.5”) from Kasing Lung and How2work. Seemingly inspired by a magical cat through the rabbit hole, Chester is limited to 200 pieces with 80 on-hand for Toy Soul from Monster Taipei’s booth [D13].